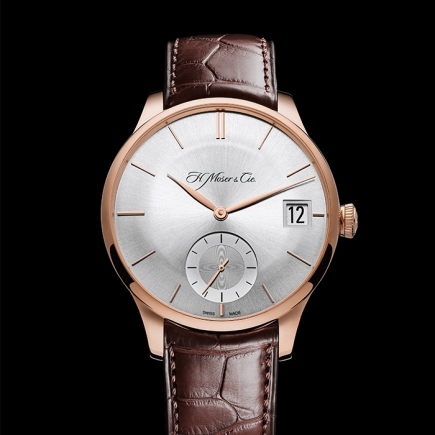 H. Moser & Cie. is a Swiss watch brand unlike any other. 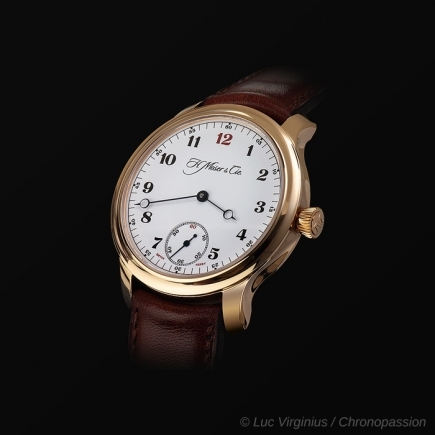 Independent and family-owned such its creation in the 1800s by Heinrich Moser, H. Moser & Cie’s can be considered a pioneer in bringing watchmaking to the Swiss-German canton of Schaffhausen. 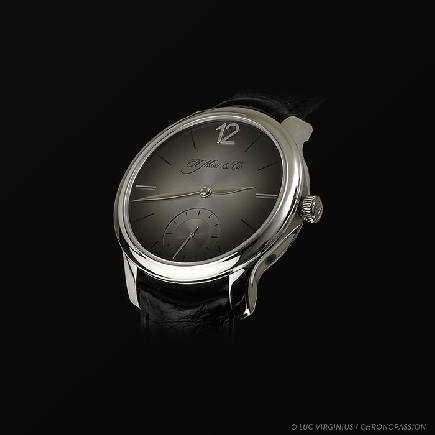 Both a talented watchmaker as well as a visionary entrepreneur, Heinrich Moser established his business in St Petersburg, quickly becoming the watchmaker par excellence to the Imperial Court in Russia and a household name in the region. 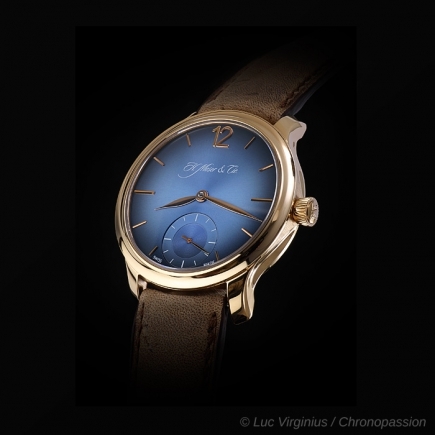 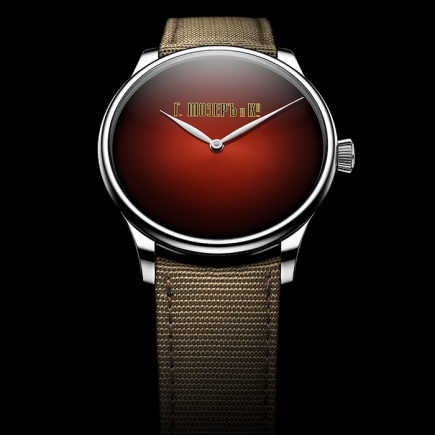 After the Red October revolution, H. Moser & Cie was nationalized by the Soviet state and, several decades later, completely halted operations. 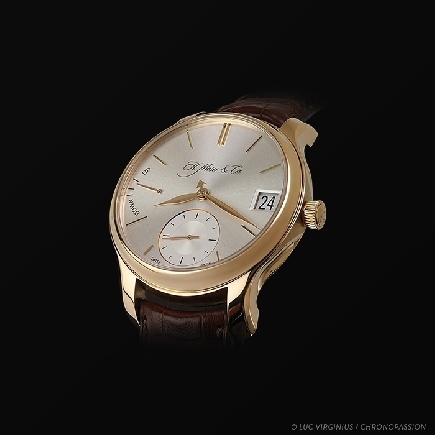 In 2005, Heinrich Moser’s great-grandson, Roger Nicholas Balsiger, along with Dr. Jurgen Lange and Thomas Straumann, decided to re-establish H. Moser & Cie. in the hometown of Heinrich Moser, the canton of Schaffhausen with a state-of-the-art watch manufacture. 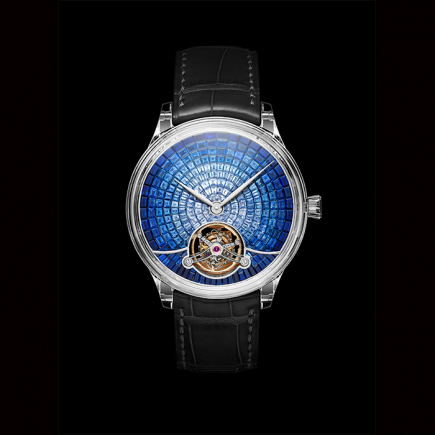 This period of rebirth saw the brand bring about a number of ingenious, elegant watches, with the most noteworthy being the award-winning Perpetual Calendar with its uncluttered dial and leap year indicator on the movement side of the foolproof movement, which can be set forward and backwards at any time. In 2012, the Meylan family, who have been active in the watchmaking industry for generations, decided to acquire H. Moser & Cie. and integrated it within their MELB Holding group. 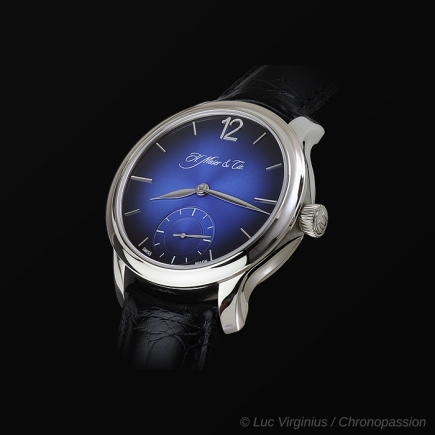 Its chairman, Georges-Henri Meylan, is a living legend within the watch world, hailing from the Vallée de Joux with a lifetime of invaluable experience through his illustrious career working with haute horlogerie brands. 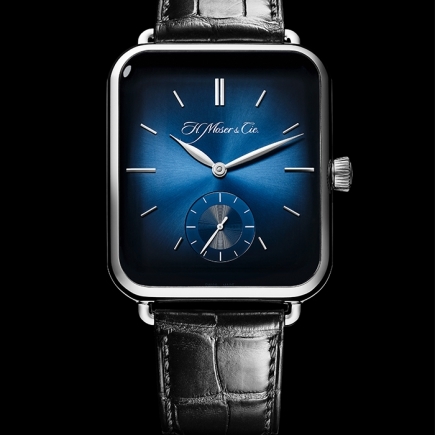 With his son Edouard Meylan at the helm of H. Moser & Cie., the Schaffhausen company has taken a more dynamic path with distinguishable aesthetics and a minimalist design philosophy, as well as an unprecedentedly provocative and refreshingly honest communication strategy that is so rare in the watchmaking world. 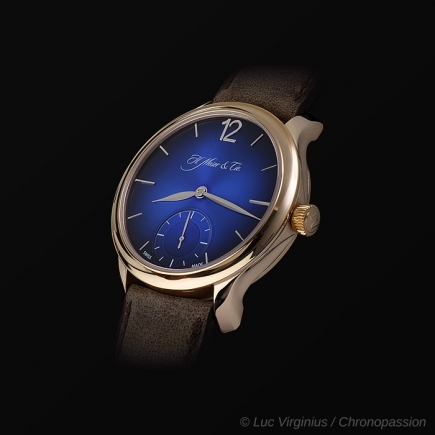 Most appropriately, H. Moser & Cie. has made “Very Rare” its slogan. 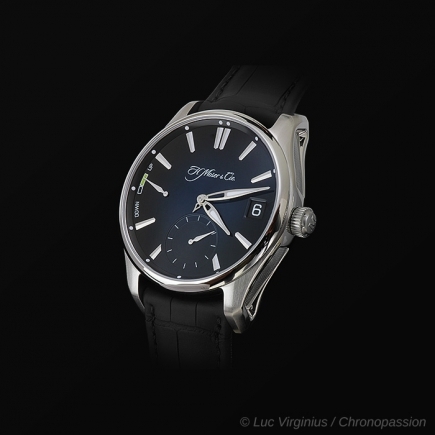 The success of Moser’s Endeavour Perpetual Calendar, which has been in production for over a decade now, has distilled into other collections and complications. 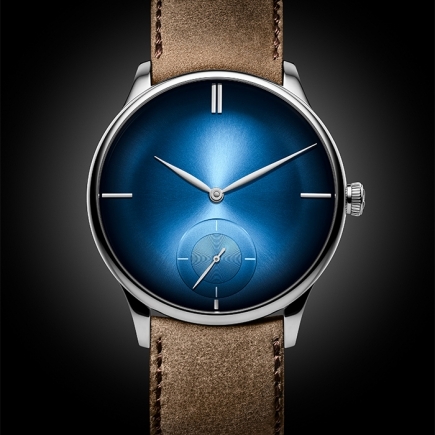 The perpetual calendar movement has found its way to the sporty and versatile Pioneer collection, housed in a 43mm steel case and paired with a blue fumé dial and set on a rubber strap suitable for all situations. 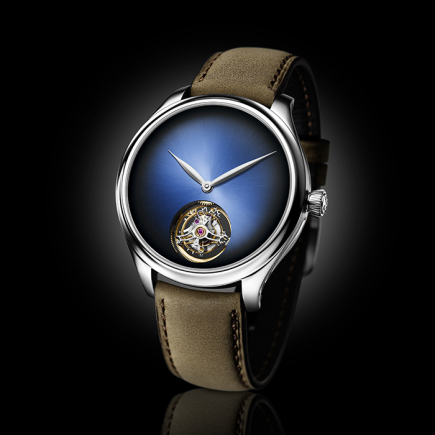 The beauty of its tourbillon, which features a practical “modular” construction that makes servicing easier and faster, has been featured in the Venturer rose gold and white gold watches as well as the Endeavour collection, with a number of different case material and dial combinations – not to mention the brand’s casual-chic distressed kudu leather straps. 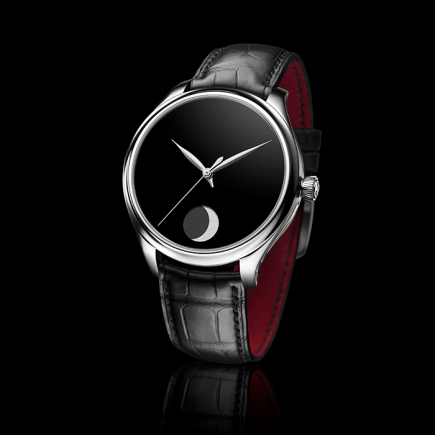 A more recent and highly sought-after complication to receive the Moser treatment is the moon phase. 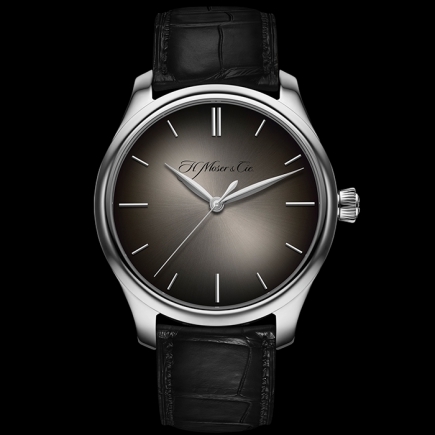 But not just any moon phase, the H. Moser & Cie. perpetual moon phase indication is accurate to one day’s deviation every 1’027 years, and its most recent version features a Vantablack dial, capable of absorbing over 99% of visible light and making it the blackest dial ever to be used on an astronomical watch complication. 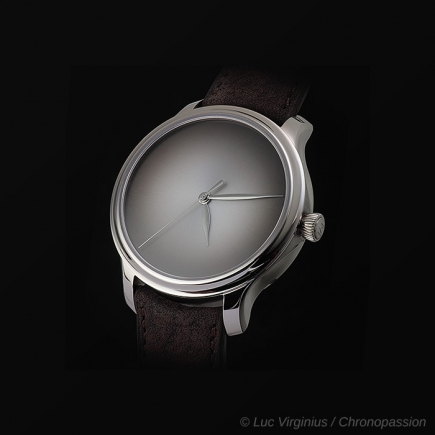 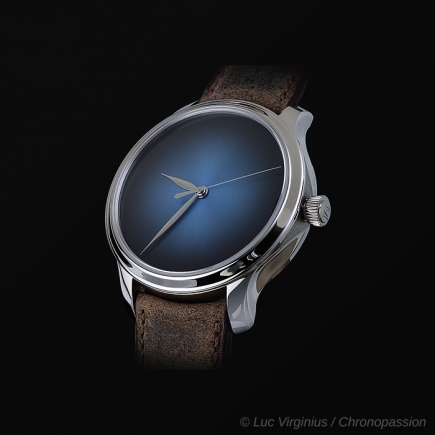 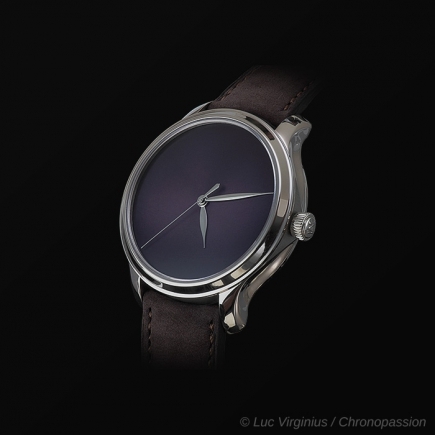 Believing that a haute horlogerie watch like Moser’s Endeavour model should speak for itself through its quality and design rather than the branding, logo and price it bears, H. Moser & Cie. did the unthinkable in 2015 when it launched its Endeavour Centre Seconds Concept model, featuring the brand’s signature Endeavour sculpted case and fumé dial void of any logo, labels or even markers. 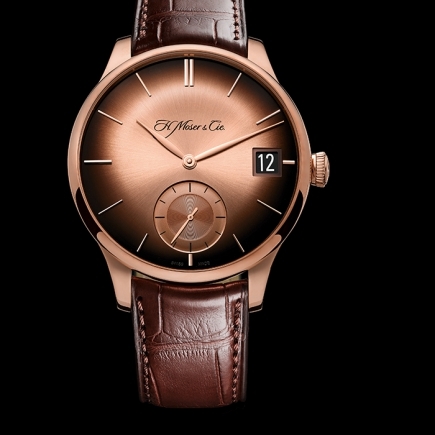 With only its leaf-shaped hands visible atop the dial, this “Concept” aesthetic has become a staple in H. Moser & Cie’s lineup and has made its way to other collections and models like the Venturer Small Seconds with its convex lines and domed sapphire crystal, the Endeavour with different complications including the Perpetual Calendar and Flying Tourbillon, as well as the Swiss Alp Watch, a cheeky jab at the Apple Watch and prestigious Swiss watch brands that have dabbled in connected watches. 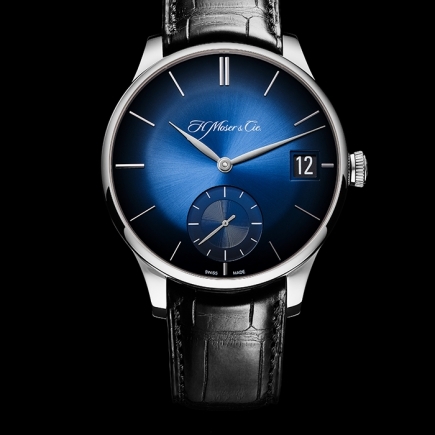 Another way H. Moser & Cie. keeps its dials as visually pure as possible is by moving certain indications to the case back side of the watch, such as the leap year indicator of the perpetual calendar or, in many of its manual winding movements, the power reserve display, since you usually wind the watch when it is off your wrist. 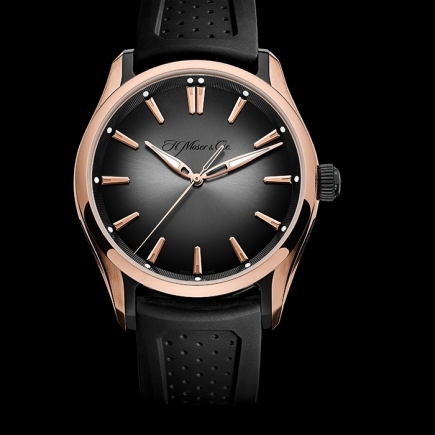 Perhaps the boldest and most pared down take on the minimalist “Concept” series is one of Moser’s newest watches, the Swiss Alp Concept Black. 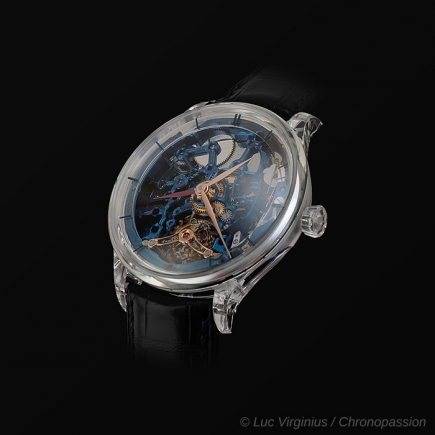 With a black dial void of any hands or visual indication of the hour and minute, the watch doesn’t display the time, but chimes the hours and minutes with its minute repeater tourbillon movement. 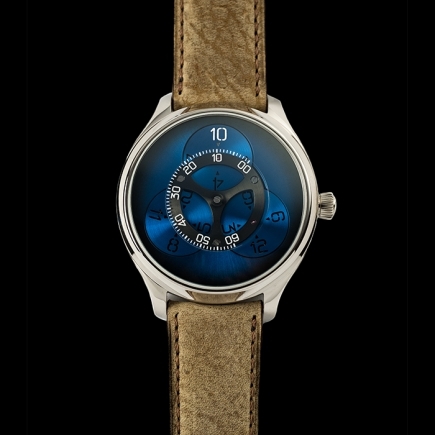 Not one to shy away from making bold statements relevant to the watch industry, H. Moser & Cie. decided to remove the “Swiss Made” label from its watches as of 2016, as newer regulations introduced means it is now easier than ever to make a watch with a Swiss Made label. 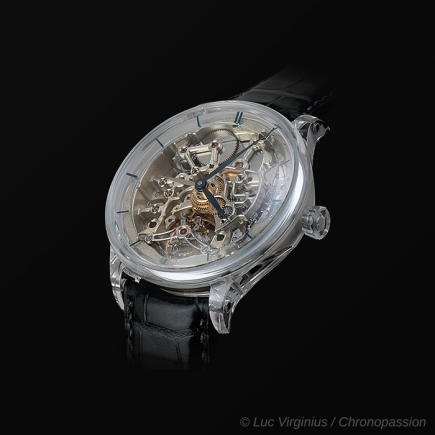 As a brand that manufactures almost all its movements’ components and relies on Swiss suppliers for other parts, its watches far exceed the requirements of Swiss Made. 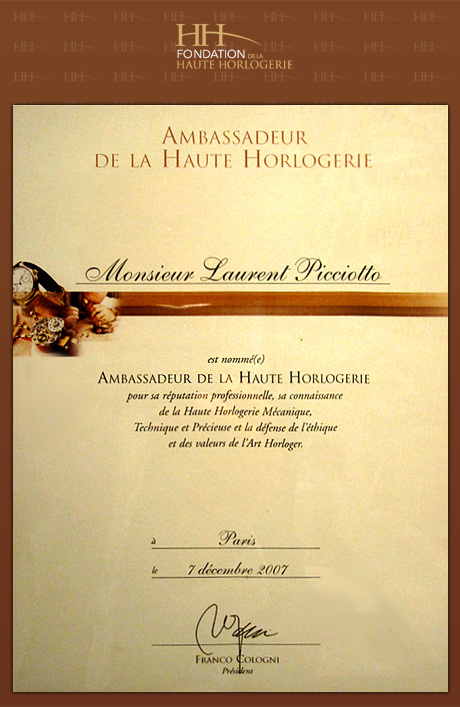 To get its point across, H. Moser & Cie. created the unique Swiss Mad Watch, the first watch dubbed 100% Swiss Made using cheese for the case and cowhide for its strap. 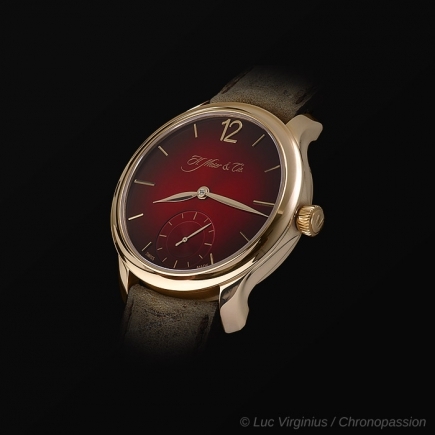 And for good measure, the watch included H. Moser’s signature fumé dial in red, recalling the Swiss flag, powered by an in-house manufactured manual winding movement. 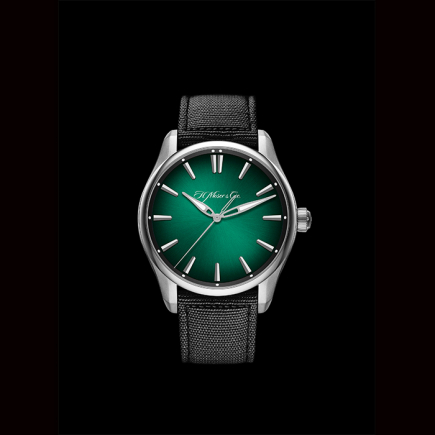 At SIHH 2019, H. Moser & Cie. once again took the watch world by surprise with the unveiling of its Moser Nature Watch, a symbolic item that marks a new, greener, more responsible path for the brand. 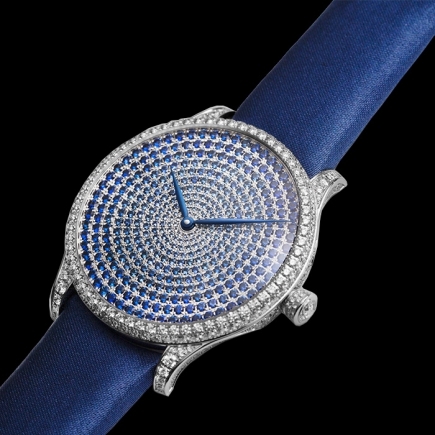 As part of its tangible actions, Moser has committed to use only Fairtrade sourced gold for its cases and movement parts, to work with transparent partners, and to support charitable organizations that promote education in developing countries, such as Room To Read. 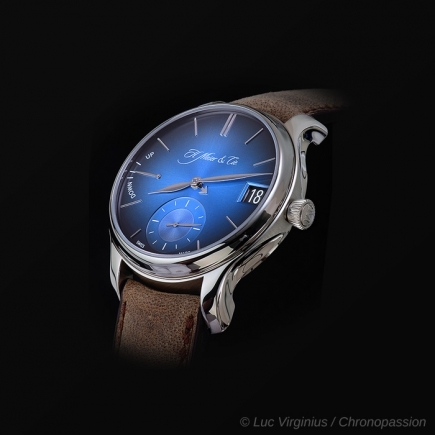 Even though such changes imply higher costs of production, it does not affect the final price or quality of the watches. 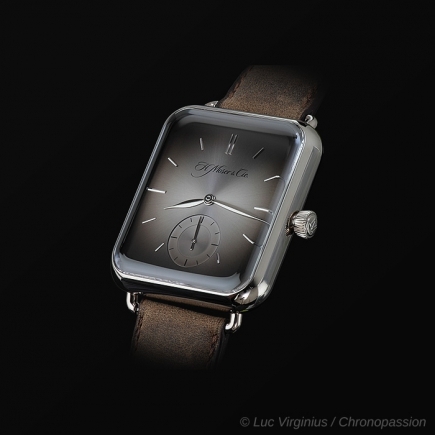 Chronopassion is OFFICIAL DISTRIBUTOR of H.MOSER & Cie since 2012, the year the brand was acquired by the Meylan family. 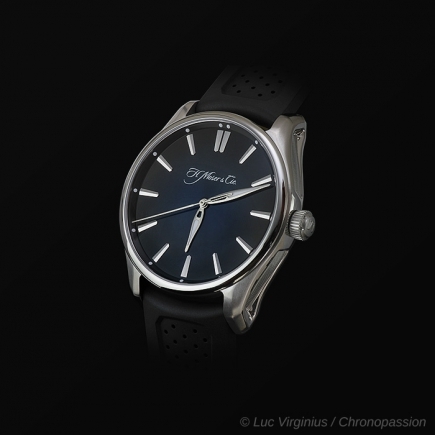 You did not find your watch ? 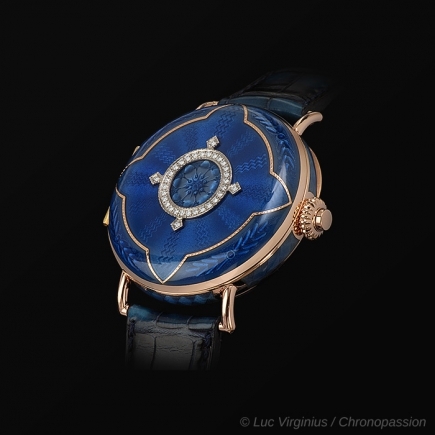 Our selection on internet, only show a part of our catalog, contact us to have more results about your research.